There's a bit of a friendly competition between the women in my family over who makes the best rolls. Well, I wouldn't say a competition really, since we all make delicious rolls. One sister rolls hers really tight so there's lots of buttery layers, one sister makes delicious half-wheat and half-white rolls that are light and flavorful, one sister makes more loose layers that are perfectly golden brown on top and our mother makes hers in perfect little balls. She has perfected the "pinch and tuck" with the dough and always "pats the baby" when she lays them in the pan. A few years ago my sister went off the beaten path and made herb rolls for Sunday dinner. Everyone "ooh"ed and "ahh"ed over them. She had brushed the tops with melted butter and sprinkled on kosher salt and fresh rosemary and thyme. They were delicious and they became the most popular variation on our Sunday dinner rolls for several months. No matter what shape you take with this dough, it always turns out delicious. Microwave the butter with the milk and water in a glass measuring cup for 2 minutes until hot to the touch but not boiling. Whisk together dry ingredients in a stand mixer. Pour in warm liquid and mix on low for 2 minutes until smooth. Beat in the egg (it should be stretchy). Add 1 1/2 - 2 cups of flour until the the edges are clean. Knead with the mixer on medium-low for 5 minutes until the dough is soft and only slightly sticky when pinched (be careful to not add too much). Cover and let rest for 10 minutes. Preheat oven to 375 degrees. Shape into rolls* and lay on a sheet pan sprayed with non-stick spray. Cover with a cloth (I like to use large flour sack towels). Let rise in a warm place for 20 - 30 minutes until they've plumped up. Bake for 12 - 15 minutes. *The way I like to make rolls is in a crescent shape. I take about a 1/3 of the dough and roll out on a floured surface until very thin (about 1/4 inch) and spread generously with melted butter. Then, using a pizza cutter I cut the round dough into about 12 or 14 triangles. Starting with the biggest end, I roll towards the smallest end and tuck the small part under. You can also do the herb variation by rolling into round balls and brushing the tops with melted butter. Sprinkle with kosher salt and fresh rosemary and thyme. Can't wait to try this recipe! Yum! Oohh my I love these. If you need someone to vote for yours being the best I can do that!! First of all let me just say that I would have NEVER tried any other roll recipe (because I thought that my homemade rolls were the very best), had you not spoken of the family roll competition. But, I must say these are the very best rolls that I've ever tasted! Thank you so much for the recipe Liz!!! I can't wait to bring them to Bryan's family Christmas party tomorrow night. Oh, and I usually do the "perfect little balls" like your Mom (that's how I was taught), but I thought I'd try doing the crescent shaped tonight. They turned out beautiful, just like your picture. Thanks for making it easy for me to understand how to do that! I thought I had my roll recipe perfected, too. 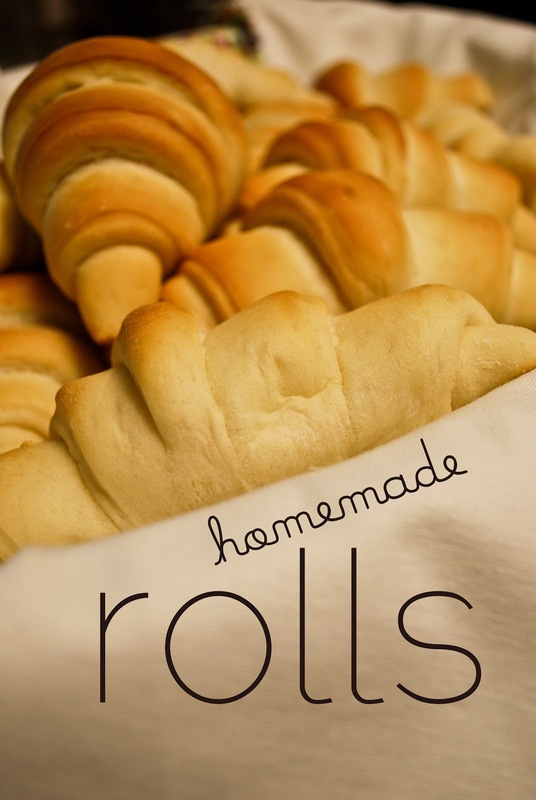 While I still enjoy those rolls, I loved the simplicity of this recipe. They are fast and easy to make because they don't have to rise until doubled prior to making them into individual rolls to rise. The rolls are light and fluffy and delicious. I think this may be my new go-to recipe because they are so easy! Thanks for sharing! I just wanted to tell you I have been making your recipe for a few years now and everyone who eats them LOVES them. And they are so easy and fast to make. This is my go-to roll recipe 95% of the time. Thank you for sharing a fabulous recipe.